Hi Everyone!!!! We feel pleased to get back to you with a pack of updates to enhance your experience with Apptivo. Take a quick look to get a sneak peek of the new releases made this January 06, 2019. 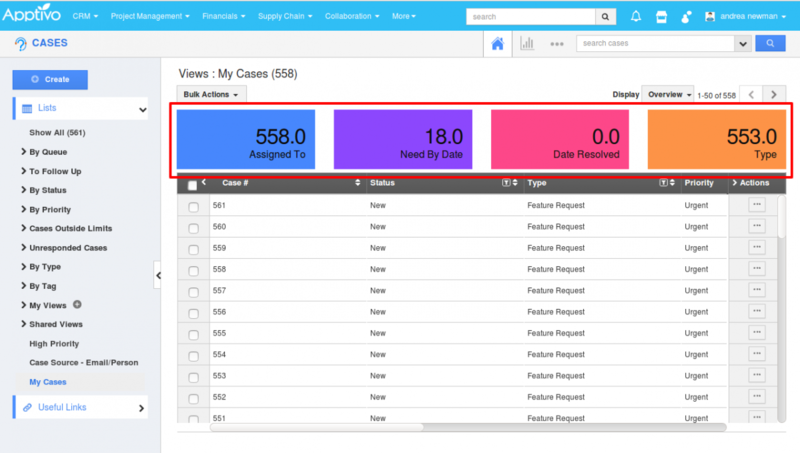 A noteworthy implementation in this release is the Summary Boxes in the Cases App. You are aware of Views in Apptivo. These views filter a set of objects or fields with the specific criterion. Be it a Standard View or Custom View, you can add the Summary boxes to the Apps. This feature gives you the sum, count or the average based on the condition that you set. The Summary Boxes are now available in the Cases Apps. Know how to customize the Summary Boxes in Apptivo by visiting the Answer page. 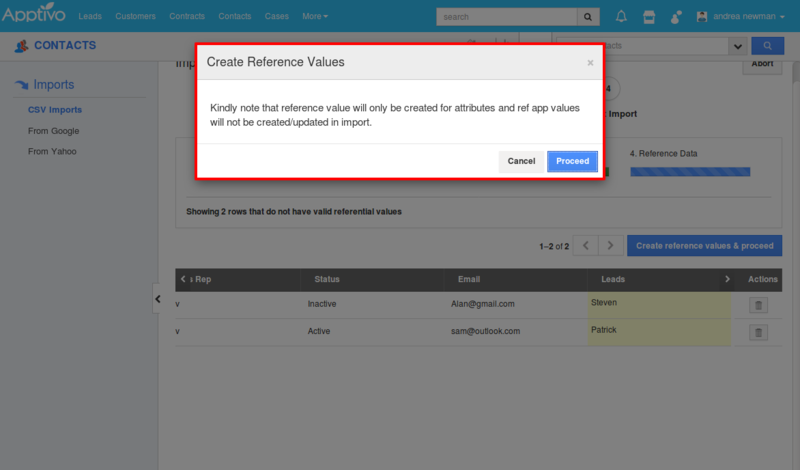 A cool enhancement of this year is the Ref App support in all the CRM Apps while importing the .csv files. Check how to import the files in Apptivo by clicking here. An additional enhancement to the Cases is to limit the cases assigned to the customer by cases, email or manually assigned cases. 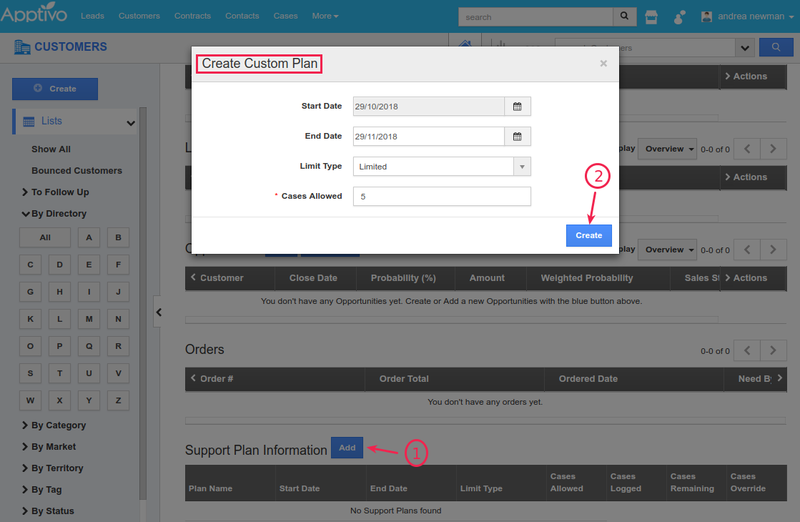 This feature of Support Plans gives you the ability to define the limit of case creation by the customer, based on the support plan provided. Take a look through Limiting cases post to know more about it and to limit the cases that you assign. Data Level Access in Apptivo, which restricts access to required individuals so that the records assigned to them alone can be accessed and worked upon. Data Sets in Apptivo gives you the ability to provide access privilege of object records to a specific group of people. This feature is now implemented in the Estimates App too. As of now, Data Sets is available in the following apps – Shipping, Contacts, Customers, Estimates and Opportunities. 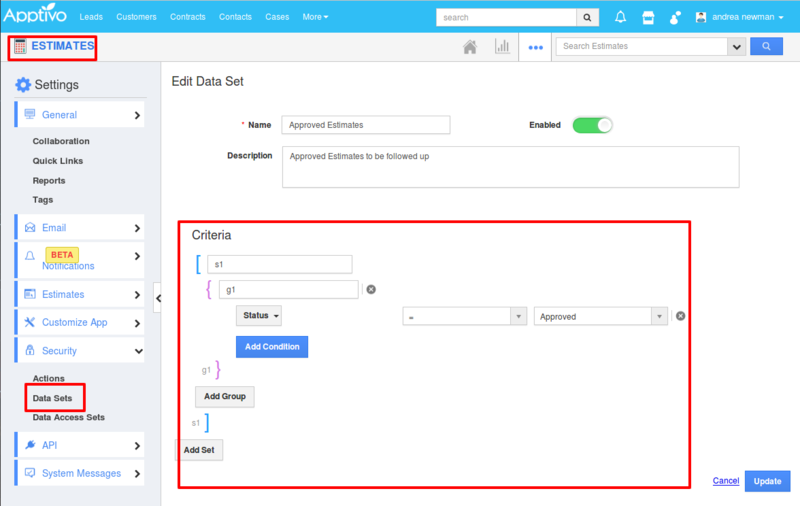 Let us now walk through an example of the data sets function in the Opportunities App. Learn how to create the Data Sets in Apptivo by visiting our Answers page. Newsfeed Notification is a prominent feature found across all Apptivo CRM Apps. 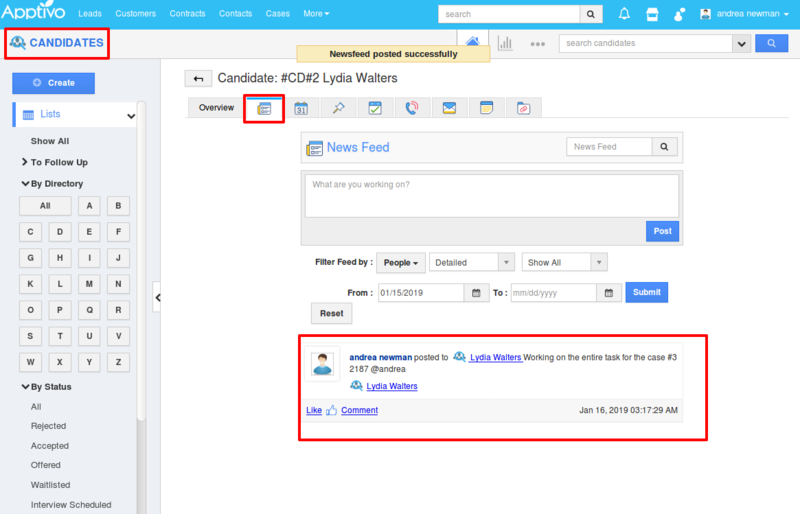 An improved feature for the News Feed is the Detailed News Feed in the Candidates App. In Apptivo CRM, you can also set your notification preferences across the entire app as well as the individual feature by simply enabling or disabling the notifications in the Apps. If the box is checked for the news feed, you have opted to receive notifications for events of that type. Learn to get the Detailed News feed by clicking here. Xero is cloud-based accounting software that can be integrated with Apptivo and the data can be synced. 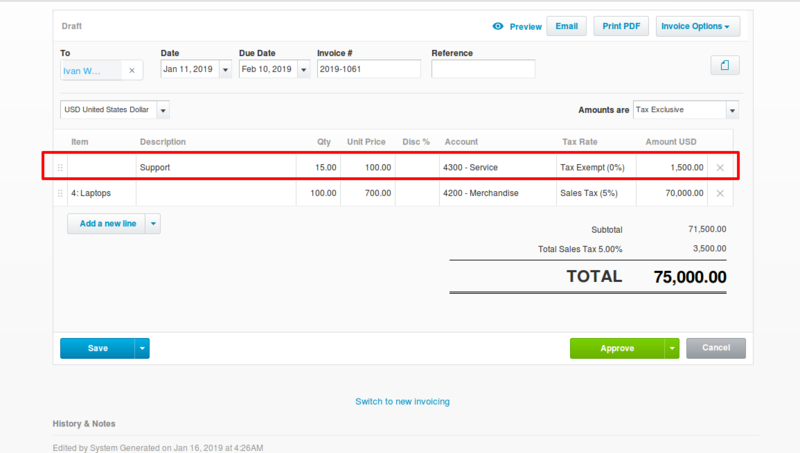 By this integration, you can now create and sync Service level in Invoices in addition to the Items Level. Please refer the below links to know more on integrating the Apps with Xero. You can now stop the Scheduled plan when you stop (Void) the Parent Recurring Invoice. 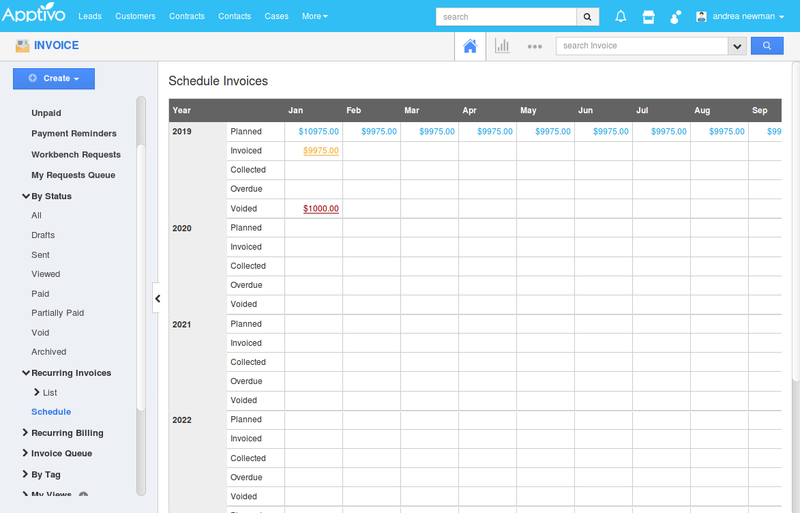 The schedule makes invoicing easy by viewing everything you need in one sheet. That is you can send an unlimited number of customized invoices to the customers and track them all. An Invoice Schedule consists of the invoice for months, amounts that are used for the creation of invoices, total months planned and the total amount of the invoices. Take a look into Scheduling the Recurring Invoices to get detailed information about it. 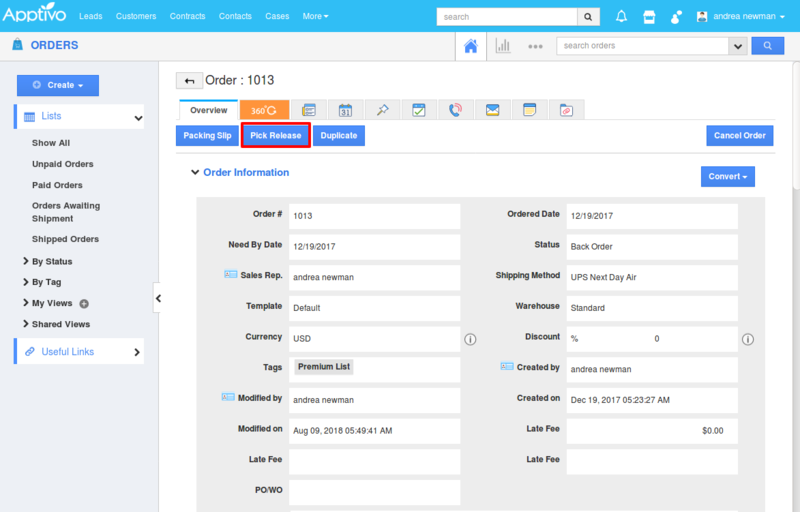 One of the specific implementations this release is the availability of the Pick Release button in the Orders App . This will allow you to move the orders for Shipping. Learn how to pick release the Order from our answer page. Meet you soon with the next set of our updates! Till then stay tuned for the updates in our blogs and posts.